Commitment Equals Results, So Are You Committed Enough? You are here: Home / Contest / Commitment Equals Results, So Are You Committed Enough? 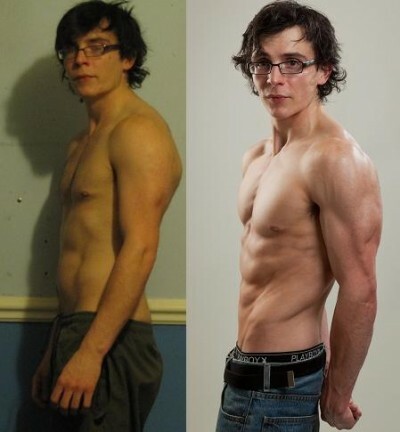 Today’s interview is with Andrew Peters, who won the sixth Adonis Index Transformation Contest. Andrew is still getting over the fact that this is how he looks now. No kidding, when you undergo such an amazing transformation, it might take some time until you get used to that new look. Andrew has a great muscle definition. Want to win the next contest? This is how you take the photos. Andrew is 24 and has spent the past few years playing rugby and lifting weights, however his training lacked structure, a goal, and a serious commitment. As a result he didn’t have the body he wanted. He realized that in order to succeed he had to changes his approach. He wanted to get in shape, but didn’t wanted to look like some huge bodybuilder. 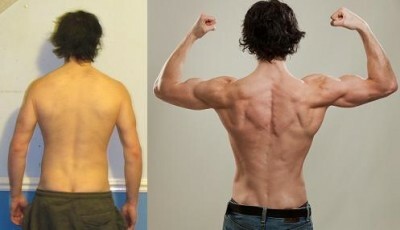 He was after more of a model body shape and it was also obvious that something had to change in his life. He searched for a workout program that would meet this requirements and that search lead him to the Adonis Index. What might surprise you is that he wasn’t a believer at the beginning and it took him almost two years until he decided to try the contest and the workout…and in as little as three months he completely transformed his body. The only things he regrets is not trying this approach sooner and wasting two years of his life doing other workouts. Before training with the Adonis Index he was trying to change, but his effort was misplaced. This is probably the most common issue with muscle building. Guys don’t understand that it’s crucial to have a well-designed workout program, not the newest or the most expensive supplement. While certain supplements like Creatine might help, if you don’t have a good workout plan then nothing else really matters. But since supplements are easier to sell and people seem to want magic pills most of the marketing is focused on selling them…this leads to a belief that supplements are the building blocks of muscles. The thing that won’t hurt you either is having a deadline. For Andrew there just wasn’t enough urgency, but when he decided to participate in the Adonis Index Contest, the training suddenly had a deadline and things got serious. Plus he was putting his money on the line now since he booked a session with a photographer three weeks in advance. You might guess that winning a fitness competition and transforming your body would require some supper-strict lifestyle without any social interactions and you would have to be focused on the diet and training only. While it obviously requires more effort and focus to get in shape than to maintain your look, it’s still about finding a balance with your social life. The only things that Andrew did was walking every day, cutting a few calories and training on the Adonis Index system a few times per week. He was already hanging out in the gym, so this wasn’t such a stretch. Getting in shape is not that time dependent. Cutting calories doesn’t require any extra time, quite the opposite, because it can free you from constantly preparing food, eating and washing the dishes. Just think for a while how much time you spend doing those things every day. Well, even if the workout session took you 90 minutes and you trained let’s say 5 times a week then it would still only be an 8 hours commitment per WEEK. A week has 168 hours, so 8 hours of focused training dedicated to improving your body and possibly your social life doesn’t sound that much, does it? Most people spend at three times that many hours in front of a TV or playing video games, so if you are one of them you only need to cut out 1/3rd of that and you suddenly have the time needed to work out. Some people get up at 5 am just to squeeze in the workout session before their work. Find that time, it’s worth the effort. While any change requires physical effort, usually the hardest part is mental. You might guess that somebody who is in shape is motivated 24/7, however like Andrew discovered, it couldn’t be further from the truth. There will be days when you will wake up in 6 AM feeling like crap, annoyed by the rain and cold and definitely not feeling like working out or doing something worthwhile. This is something that you have to expect to happen and find a way to punch through it. Sometimes you will look at yourself and won’t see any results. You will trick yourself into thinking that it’s pointless to continue dieting, because in your mind it’ll seem like nothing is improving in the mirror or because the scale is still the same. You will find a reason to quit. It’s those who stay on track and push through these moments that succeed. Andrew had the same problem, he wanted to quit the diet, but he decided to adjust the amount of calories he ate everyday and kept on going. He knew this would work and that it was just a matter of time and consistency. After 12 weeks he got ripped. There is never going be the perfect time to get in shape so START NOW!